I grew up in Maine in a pretty small town outside of Portland (which I think of as the primary Portland). The town is called North Yarmouth and is a rural area outside of the surrounding suburbs. We never moved around when I was younger, my parents still live in the same house that I grew up in. I would say I had a pretty typical childhood in terms of activities. My friends and I played a lot outside and played sports in school. I left home after my sophomore year in high school to attend boarding school in Massachusetts for my last two years. Boarding school was hard, but I loved it. Most of my closest friends in San Francisco (and in life) are from my time there. I went to Cornell and studied in the five-year architecture program. I chose Cornell because I got in and enjoyed my accepted student visit to the campus. I don’t think that I quite knew what to expect studying architecture and found the program really challenging. I was always a good student in high school, but architecture was like nothing I had ever done before and I initially struggled with the creative process. I’m the oldest of two; I have a younger sister who’s five years younger. Starting in the spring, she’ll be going to graduate school for occupational therapy. My parents moved to Maine in the late 70s after both growing up out-of-state — my mom is from New Jersey and Illinois and my dad is from New York. They’re both great — super nice people who were incredibly supportive and never really had an agenda for me growing up. They always wanted me to be my own person and maintained a very low-pressure household. I think I put way more pressure on myself growing up than they did. My wife Abby I met in San Francisco, but she’s also from the east coast—Philadelphia. She’s a medical sales rep and is way more organized and perhaps even more type A than I am (we’re both kind of type A…). Plus, she’s hilarious and fun. We took a trip to Europe a few months ago where we did some hiking and spent time with her family — her parents were celebrating their 65th birthdays and retirement. It was in high school that I first identified an interest in architecture. It was an implied interest—I was good at math and enjoyed art, and I never felt like I was very strong in humanities. I also knew that I loved building and making things; I got really into wood shop at kid at summer camp. When I was trying to figure out what I wanted to study in college I kind of looked at all the interests that I had and architecture was at the intersection of all of them. I’m very detail oriented so I love working on projects with a high level of craft and an imbedded logic. I enjoy the projects that have a kind of governing system that guides the design — the Santa Cruz House is a good example. Along with that, every architect always wants a good client who knows when to provide input and when to step back and trust their designer. I also like projects that have unique constraints—like site or program—because they provide some complexity to the project and give us the opportunity to be creative. Almost three years. I started in September of 2015 right before I got married. I moved out to SF in October of 2010, so I have been here about 8 years ago. Before starting at Feldman, I worked for a smaller firm in San Francisco for a little over 4 years. I would say the lack of ego and diversity of interests. I also find it funny that several people in our office care about sports! I’ve never worked in an architecture firm where anyone has ever cared about sports. Here, at least 40-50% have an invested interest and everyone else is just ‘forced’ to participate in things like March Madness. Besides just being around my coworkers, I really enjoy the opportunity to learn from them. 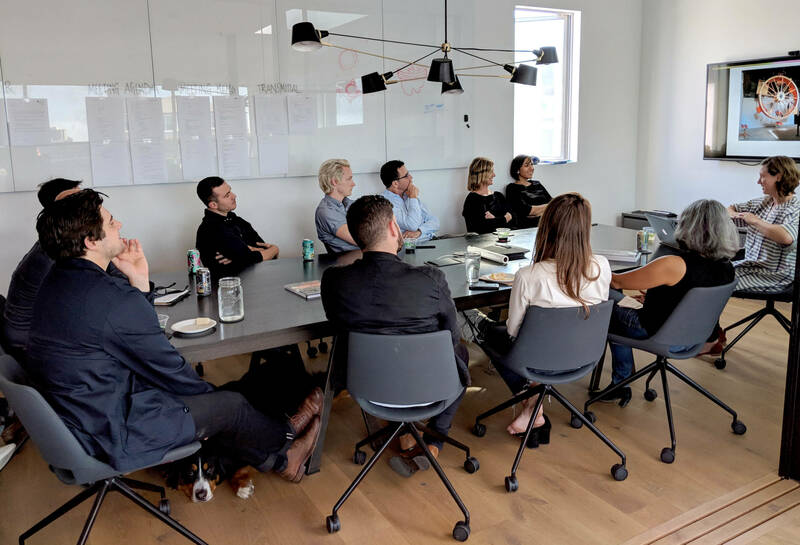 There is an enormous collective knowledge about building and design in the office and I really love sharing, collaborating, and learning from everyone around me. Q: What are five features you would include in your dream home? It’s funny because I don’t have a clear answer, but it’s something I think about probably way too much. It comes up a lot, especially in conversations with my wife. I think I would have a similar answer to many people in the office in that I like modern design. I want something that has an indoor outdoor connection, something that is beautiful and livable without being stark. 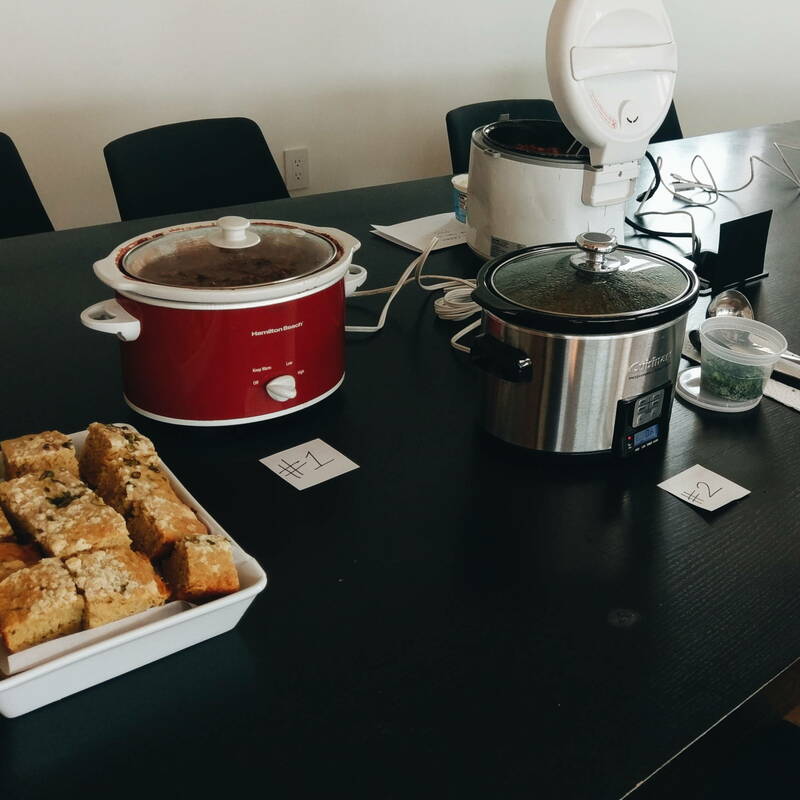 Also, I would love to have a wood shop and social kitchen space—my wife and I cook a lot and we inevitably spend parties crammed into our small kitchen with friends. The last thing I’d like is a garden. Something that looks pretty but is also functional; where we can grow vegetables. I really admire an architect I worked for in Maine—Carol Wilson. Her practice is small and her process is pretty old school but she does beautiful modern projects in a state that is not known for progressive architecture. I also think I have been influenced by living in Bay Area in that I have a lot of respect for entrepreneurs, especially in the design field. I’m interested in people who studied architecture or design and went on to build a business/passion outside of or adjacent to the industry. For example, one of the founders of WeWork started as an architect. I’m always up for a good origin story. I have a tendency to be quite linear in my process. I have to constantly force myself to step back and question my assumptions. I’m a very logical person by nature so I like identifying problems and creating rule or parameters for myself. I think I’m happiest designing once I have a guiding concept and I can dive into the details to execute the design. Can I go back to the eight years that Obama was in office? This year I was invited to speak at the 2018 Furniture Society Conference, a 4-day event including presentations from furniture makers and artists from across the nation. This year’s theme was Nexus, which looks at the intersection of technology and art as it relates to the evolving field of furniture making. It took place at Dogpatch Studios on June 13-16. There talks ranged from Women in Technology, to a girl’s project-based learning school, Project H Design in Oakland where underserved communities are given access to technology and the built environment. Other talks honored the great Wendelle Castle and the keynote Speaker Allan Wexler gave a talk presenting his new book “Absurd thinking between Art and Design.” I felt right at home. My own talk was about my work that began during my Artist Residency at Autodesk in 2015. It was a simple talk about cutting wood. I was nervous, knowing I was not a trained furniture maker but my experience with digital tooling and material exploration allowed me to tell a compelling story. At first I shared basic milling patterns from rift sawn, plain sawn, and quarter sawn and described the properties of each resulting grain type. I then shared my work cutting planks of wood with a table saw and band saw, two analogue tools found in most wood working shops. The wood was cut with thin kerfs allowing it to flex and expand, changing the properties of hard wood to a “soft wood”. I wanted to transfer this operation to a tool with capabilities that these conventional tools did not have and one foreign to wood working. While at Autodesk I had access a 55,000 psi waterjet cutter. The interesting advantage to this tool besides being able to cut through 5” of stainless steel or stone, was that it could pierce in the center of the material with no lead in or lead out. I used the tool to cut a series of kerf patterns into varies sizes and types of wood. I then steamed the wood and jacked the forms open with wedges and threaded rods. The result were large accordions that could take a 2×8 and expand into a 2×16 with beautiful bent patterns. I created a screen, a column, and a bench. They bridge the threshold of function and art. The images and diagrams were presented in simple and clear drawings and black and white photographs. The vocabulary was kept simple and straight forward and resulted in a lively discussion following the talk. The majority of the room was interested in the process and potentials. For instance, could an entire log be cut on a waterjet? What types of joints could you make? Could you do this without a waterjet? The keynote speaker for the conference, Allan Wexler, was in the audience and he was impressed by the work and encouraged me to continue exploring. He thought the process and presentation was both technologically precise and brutally analogue, the balance I continue to achieve in my work. He said they represented a limit beyond which they would no longer exist, as if frozen moments of destruction. The conference gave me great confidence to continue sharing and creating more work. On October 11 I will be showing alongside Cathy Liu at Matarozzi & Pelisnger Builders. I look forward to sharing the unique work with artists and architects, builders, and clients as I continue my art practice of finding balance. 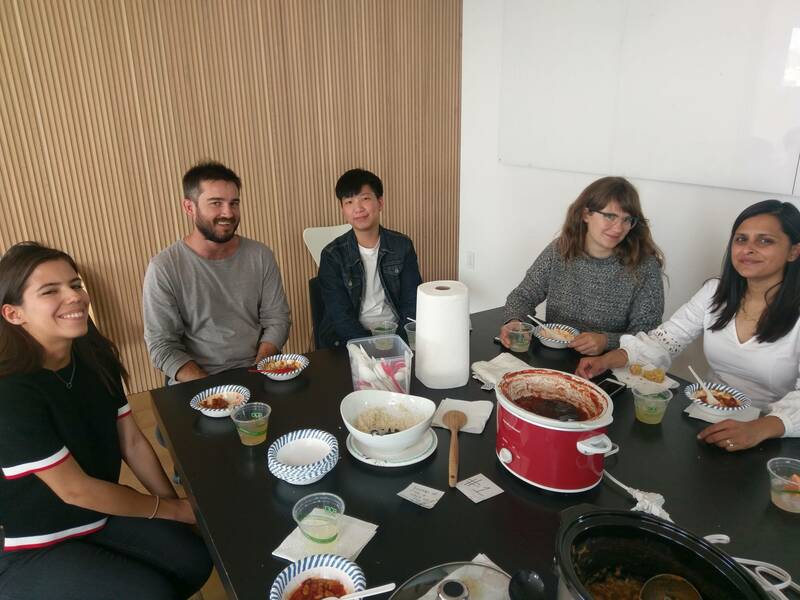 After a few months of summer schedules and overseas trips for many of our designers, it was nice to reconvene altogether for the first Third Thursday of the autumn season. Amy Campos, an associate Professor of Interior Design at California College of the Arts and good friend of our very own Lindsey Theobald, stopped by last Thursday evening to introduce her new book to our office. 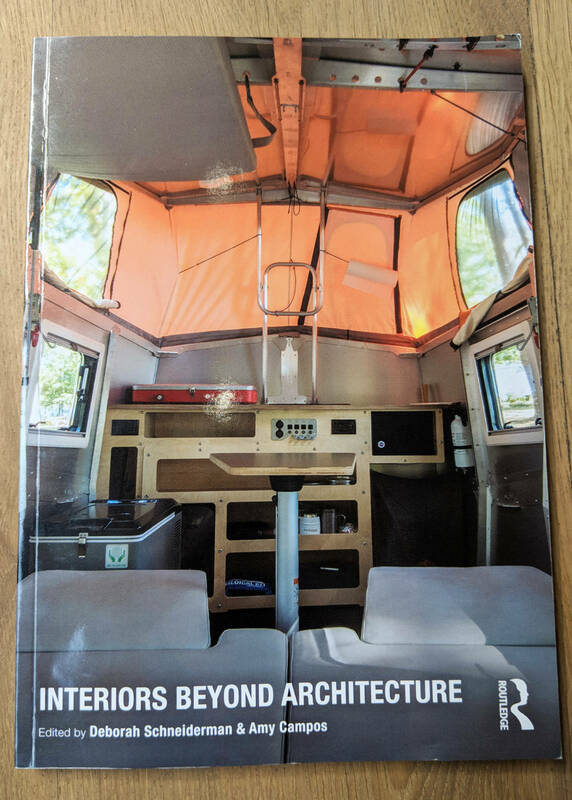 The book, Interiors Beyond Architecture challenges the previous narrative of interior design, and introduces various case studies that question the ambiguity surrounding the boundaries between architecture and interiors. Revolving around themes of shifting identity, ownership, community, and space, each case study tackles a different facet of the discussion surrounding interior design and attempts to provide a new take on the age old discipline. Historically, interior design has been viewed and treated as subset of architecture, however for as long as the two have been intertwined, the complexity of the relationship has been studied and challenged. There were a few case studies in particular that stood out to our designers, the first of which being ‘The Wheel’ by Alex Schweder and Ward Shelley, an experiment in tandem living. 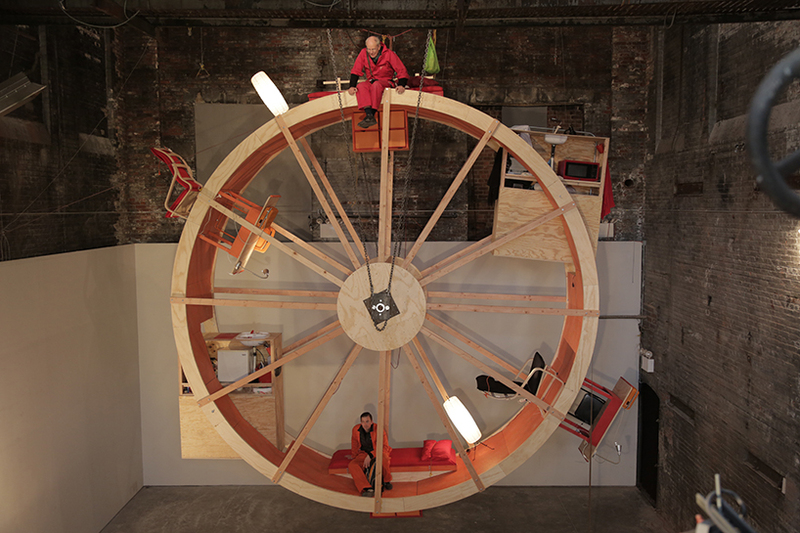 The two artists lived on a wheel-like structure for 10 days, coordinating schedules and movement for every activity. The project dealt with ideas of spatial identity and embracing uncertainty and the way occupants “can use space in innovative ways to further their own sense of agency and self-determination” (Schweder, 69). It was fascinating to see the ways the artists’ lives become intermingled to the point of coordinating their bathroom and sleep schedules! The idea of designers as ‘professional imaginers’ (not imagineers!) came up a few times in our discussion of media’s influence on design and vice versa. Architects, designers, and all artistic individuals essentially imagine for a living, describing things that don’t yet exist and communicating those ideas to the public, often times through media. Amy invited us to ponder how we know what we know about different fields, including our own, alluding to the influence of media in shaping our realities. Due to the growth of shows on HGTV and other design-based channels, designers have been given more opportunities to project their ideas into the mainstream, affecting not just the artistic sector, but the day-to-day realities of the average consumer. Of course the question of sustainability in architecture was also a topic of conversation, us being an office focused on sustainable design. Amy and our designers agree that designing a building or space to “last forever” isn’t sustainable, but she encouraged us to embrace the fleeting nature of design. Many interior firms create for the season, with consumers trading out pieces of furniture as they would trade out articles of clothing. Just as fast fashion is detrimental to the world around us, ‘fast design’ is no different. As designers we have the opportunity to shift and change that conversation surrounding sustainability and design—encouraging consumers towards better practices, and building pieces to improve the environment around us, rather than harm it. The discussion eventually wound down after confronting the same cyclical question from which we began: is viewing the separation of interior design and architecture a positive or negative, or does it matter at all? The answer to that question is more complex than an hour of conversation can solve, but I invite you to ponder it all the same. We’d like to extend a huge thank you to Amy, for coming in and waking up our brains at 4pm on a Thursday. I’m sure her students appreciate her and her knowledge just as we do, and we hope to see her again soon! To read more of Amy’s work, check out here new book, Interiors Beyond Architecture, which can be found HERE. Summerville, South Carolina. It’s a suburb of Charleston that had a small town feel while I was growing up but has gotten much bigger as urban sprawl has taken hold. Regardless, I have no plans of going back. I received a BA in Architecture from Clemson University before heading to the University of Kansas to get my Masters. I chose KU to participate in their renowned Studio 804 design/build program. My parents are both retired and still live in the house I grew up in. My brother lives in my hometown as well and I’ve got two nieces and nephews. My wife is an interior designer. We met at the University of Kansas and both moved out here after graduating. We got married in June of last year and had our reception in our current office back when it was an event space. We held the last event here before it became our design studio. Jonathan and Steven now sit where we had our first dance. As a kid I was always playing with Legos and exploring houses under construction in my neighborhood. I just walked onto the construction sites on the weekends when no one was around; we didn’t ask. My aunt was a builder so I would spend some time as a kid with her on job sites. I also took some architecture classes in high school, mostly drafting classes, before formally studying it in college. I mostly enjoy working on custom residential projects, specifically single family residential. I like doing new houses and new construction as well as remodels in the city. There are different aspects and challenges to both that I enjoy. Four years this past May. Before starting here I was working at a small firm in SOMA. Our collaborative design process and the fact that it’s not a top down approach. Everyone gets involved, has a voice, and contributes. And that’s encouraged. Plus, it’s only a ten minute walk from my house! I just enjoy the work that I do and the people I work with. I’m very lucky to be surrounded by such talented individuals who have a passion for what they do. They make me a better architect and designer. Q: If you could only eat one type of food for the rest of your life, what would it be? SOUTH Carolina style BBQ pulled pork dressed in Carolina gold, a mustard based BBQ sauce. Not to be confused with the more colloquial Carolina style pulled pork from eastern North Carolina, an amalgamation of poorly cooked meat and an astringent vinegar-based sauce that is masked with a scoop of coleslaw. If you have to put coleslaw on your BBQ, it’s not good BBQ. Not really. I admire different aspects of a lot of people that I try to emulate and learn from, including everyone I’ve ever worked for or with. I take notice of the qualities in others that I admire. Whatever characteristics I spot in them that make them successful and effective leaders are ones I try to adopt as well. When assigned a project, I first like to dive into the history behind a site or building as well as its context. A lot can be learned by studying the nuances of a place, and more often than not those studies lead to design inspiration. From there it’s about creating spaces that are appropriate in their surroundings and functional in their purpose. I like to work in section early on to apply a three dimensional perspective to the conceptual and schematic processes. Otherwise you run the risk of the tail wagging the dog if you try to force this perspective to conform to the two dimensional plan. However, that is not the only thing to be considered as architecture is actually experienced in four dimensions, time being the fourth, so an understanding of how a space will be experienced throughout the course of the day and year is also crucial. Not really. I co-host a podcast that covers Clemson athletics but I won’t be quitting my day job anytime soon. On the whole I have had a very good internship experience at Feldman Architecture. I have to say, at first I thought my tasks as an intern would be limited to serving coffee or cleaning up the materials library. However, the office scheduled different tasks for me each day, and also tried to make me work with many different people on staff, really pushing me out of my comfort zone. I was pleased to note that the projects I worked on and kept up with were all interesting and rewarding. As an international student, English is my second language. Sometimes it is hard for me to speak out during meetings or when I have a question. However, everyone in this firm is so nice and friendly. They are always so patient with me and answer all my questions. It makes me feel like this team is more like a family. I feel so grateful to have had a chance to be part of the team, even for just two months. I want to say thank you to everyone, especially Steven. From working with you I learned a lot of things which cannot be learned in school. And thank you to Evan, Liza, and Serena, for being my mentors and friends, and for making my internship experience so much more wonderful. It has been a great honor to meet you guys and I hope I can see you all soon. 5) You could stop here and enjoy! 7) Add 1-3 Jalapeno slices to give it a kick! Drink will start out mild, but the heat will build! 1) Place Tomatillos, Poblanos and Jalapeños on a baking sheet and place under the broiler until skin is soft and blistered (10 minutes) Remove from oven. Cover and let cool. 2) Once peppers and tomatillos are cool, remove blistered skin, Seed and rib the peppers and chop. 3) Season chicken with salt, pepper and a half teaspoon of Cumin. In a heavy bottom pot, sear the chicken until brown on both sides. Remove chicken and set aside. 4) Add onion and garlic to pot, sauté until translucent. Add remaining Cumin and other spices, sauté until spices are fragrant. Add beer to deglaze the pan. 5) Add Tomatillos and Jalapeno’s to the pot along with 2 cups of chicken broth (Save Poblano’s to add later). 6) Return chicken thighs to the pot to finish cooking. 7) Allow soup to simmer for 30-60 minutes. 9) Chop chicken thighs, return chicken to pot. Add the Beans and Poblanos. Let simmer for 20-30 minutes. 10) To thicken soup (if needed), remove some broth and beans and blend with immersion blender, then return it to the pot. Add salt, pepper, honey, and lime to taste. Serve topped with chopped cilantro and sour cream. While most of the country is basking in the summertime heat, here in San Francisco the summer fog has me dreaming of sunshine and the outdoors. Fortunately, our summer is just around the corner and there is no better or more fabulous way to soak up that experience than GLAMPING! I recently learned of a Japanese resort that epitomizes the Glamping experience – the Hoshinoya Fuji. Ever since learning about this resort, I have been inspired by their design philosophy, approach to hospitality, and connection to the landscape and local surroundings. 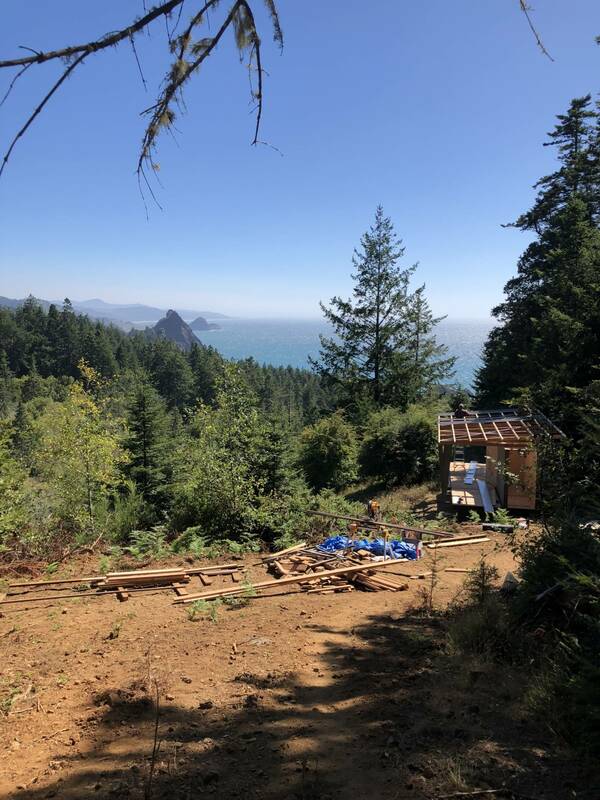 As a member of the Feldman Architecture Interiors team, I will certainly be looking to this glamping resort for inspiration on my next project! The Hoshinoya is an experience based luxury resort company that is equivalent to a lifestyle brand. Their philosophy focuses on much more than just the basic hotel function of providing a place for tourists and travelers to sleep. From the food, activities, siting, and most importantly, the design, the Hoshinoya approach focuses on stimulating all the senses and providing a completely immersive and transformative experience. They market the guest experience through a storytelling narrative – detailing the arrival, stay, and feelings upon departure. The Hoshinoya Fuji resort is tucked into the foothills of Mount Fuji above Lake Kawaguchi. Appealing to local climbers and tourists looking to get out of the city, the resort offers an elevated and luxurious glamping experience. As they say: “Glamping is a stylish form of play designed to stimulate these dormant senses –without the toil and labor associated with camping– but it requires a suitably sophisticated playground to be effective.” Guests are greeted by the smell of smoke from a large campfire, the sound of leaves crunching under foot, and are encompassed by the forest and eventually the breathtaking views of Mt Fuji. Azuma Architect & Associates designed the resort to give visitors different levels and qualities of the glamping experience. The site is broken up into two zones: the lower cabin zone and the upper cloud zone. 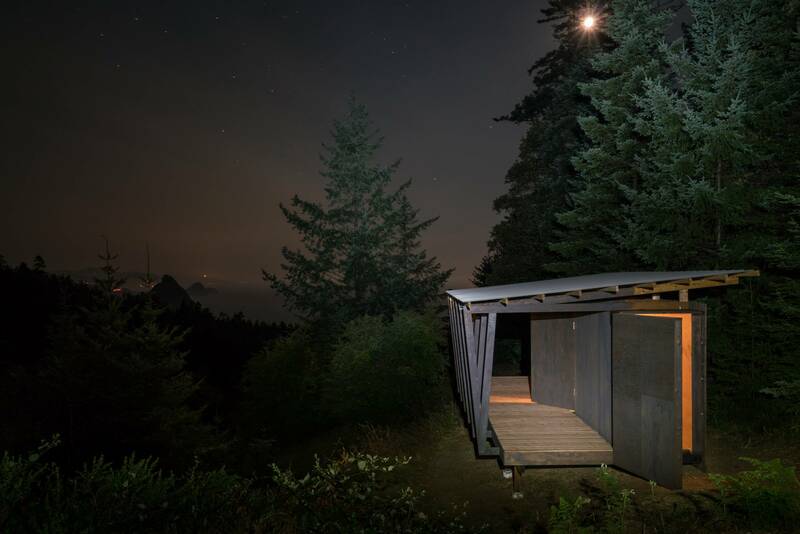 The cabins are sited such that the approach leads visitors through the woods, and upon entering their individual cabin they are greeted with a majestic view of Mt. Fuji and Lake Kawaguchi. The architecture is not literally evocative of a cabin in the woods, which would be a simplistic and one-dimensional approach. Instead the cabins are made from concrete and glass. What could be seen as an ultra-modern and cold experience in fact breaks down and abstracts the core elements of camping to a glamorous core. Each concrete unit is staggered, and this shifting allows each one to have a view of Fuji beyond. 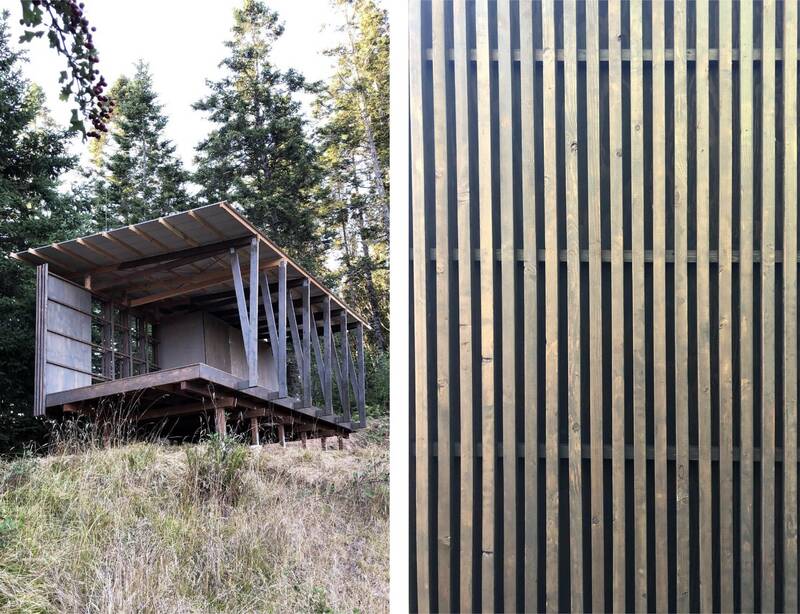 The cabin interiors are also minimalist, alluding to the idea that the outdoor experience is simpler and less adorned. Additionally, each cabin has a balcony that comes fixed with a wood stove to emulate the experience of sitting around a campfire. This understated elegance also accentuates the views of the adjacent lake and natural surroundings, making the views and outdoors the primary focus of the experience. 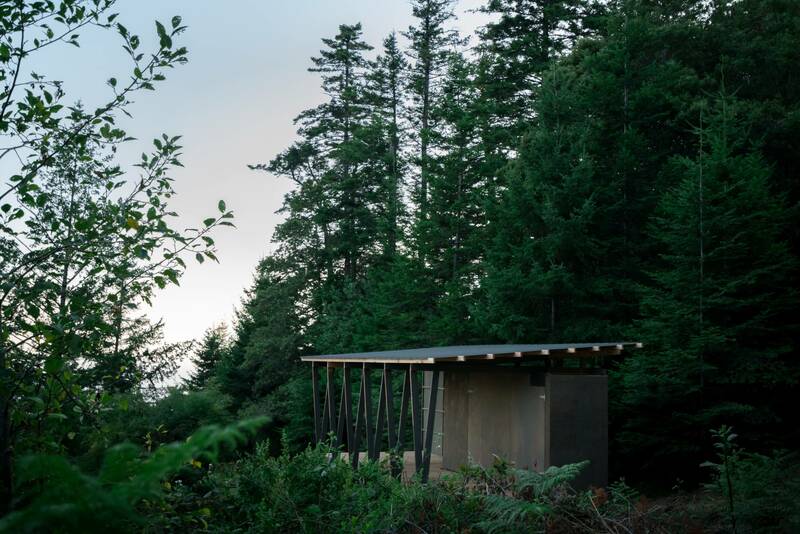 In contrast to the cabin zone, the upper cloud zone has no dramatic views and instead focuses more internally on the experience of being immersed in the woods. This zone includes a dining area, café, and gathering space for guests. The wooden platforms that comprise the cloud zone are sited so that they float above the forest. Next Step: Scheming a way to visit in person and make this summer daydream a reality! What a summer it’s been. Full of challenges, new opportunities and downright shenanigans. I can definitely say that I’ve learned so much and enjoyed my time here at Feldman Architecture. From day one I dived headfirst into the professional world of architecture. Client meetings, marketing plans and renderings threw me right into the daily routine of an architect, and trust me when I say it has been an absolute blast. I had to push myself every day to think critically and creatively, to iterate, and take feedback in every project. 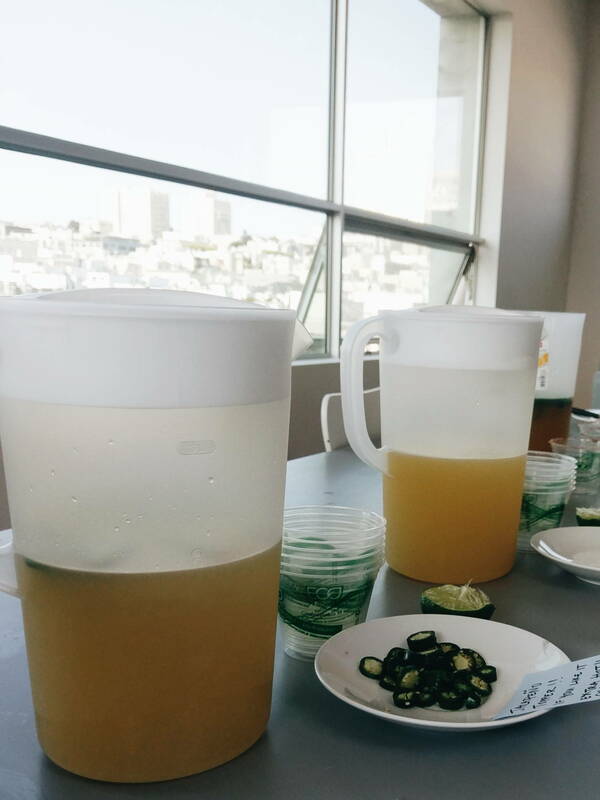 My tasks ranged from redesigning the firm’s SketchUp libraries, project renderings and drawings, all the way to editing photos from the amazing Open House at the beginning of the summer. Along the way I had an incredible group of people helping me learn new skills, new programs, and helping me figure out the vernacular of architecture. I learned so much about what it means to be an architect in the professional world, lessons that I’m sure will be with me and that I will treasure for the rest of my career. Thanks again to everyone at Feldman Architecture for their unparalleled kindness and for being so welcoming, I hope to see you all again soon.